The Age Friendly Community movement encourages the establishment of policies, services, and structures that promote healthy aging and wellness. These actions enable seniors to live in secure, healthy environments where they can contribute fully in society. 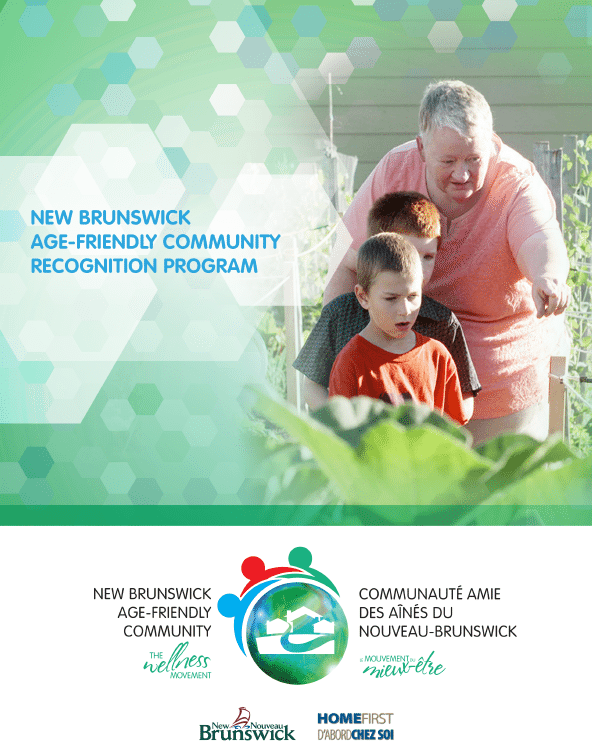 The New Brunswick Age-Friendly Recognition Program recognizes success and encourages communities and municipalities to take sustainable action towards becoming Age-Friendly. To be recognized for their Age-Friendly efforts, communities must complete 4 basic steps based on the WHO framework. These steps demonstrate a community’s commitment to Age-Friendly principles through community engagement, and action. Each step is designed to help communities increase awareness, and gather support from key partners (e.g citizens, local agencies, non-government organizations, and local business).